Having talked about the proposed state High Risk Pools and why they are bad; Charles Gaba at ACASignups.net turns his attention to the proposed Short Term Plans and why they are also bad. Keep in mind the proposed Short Term Plans are not the same as the ACA Catastrophic plans. Most of the protection found in the ACA plans are not in the proposed short term plans. This would include insurability, rates, pre-exiting conditions, essential benefits, etc. Charles Gaba at ACA Signups.net has an excellent explanation on how Risk Pools work and how they harm those amongst us who depend upon a community rating system to balance out cost. The Center on Budget and Policy Priorities reported on how Michigan’s Medicaid Proposal would lead to “Large Coverage Losses” harming Low Income Workers. The coverage reduction in Michigan would be in the range of 150,000 people. Those impacted would lose coverage Michigan’s proposal and would also be denied coverage for a year after they were eligible for coverage once they met the the work requirement. It is called revenge. Many of the Michigan Medicaid enrollees subject to the new policy already work in unstable jobs with fluctuating hours, in industries like retail, restaurant work, home health, construction, or in seasonal jobs such as in the state’s tourism industry. The Michigan Senate Fiscal Agency initially recommended the state squirrel away the excess from the federal subsidy to extend the ability of the state to cover Medicaid expenditures until 2027. Cities such as Michigan’s Detroit with unemployment higher than 8.5% would still be ineligible for unemployment as the county they reside in has an unemployment rate lower than 8.5%. The determination is county based. 15 of 17 counties with Unemployment hire than 8.5% are under Republican legislators with the remaining 2 being under Democrat legislators. The same state agency estimates it would cost the state between $20 million and $30 million a year to administer a work requirement and with an increased number of uninsured would result in increased uncompensated care provided by hospitals and in the end increase state costs for public hospitals. I suspect the state spent the excess Medicaid funds. Allow me to introduce you to “I am nauseated with the passage of the Medicaid Expansion in Michigan,” Michigan State Senator Joseph Hune. In 2012, first term Michigan State Senator Joseph Hune voted ‘yea’ for life time healthcare insurance coverage without contribution by present Senators (himself included). 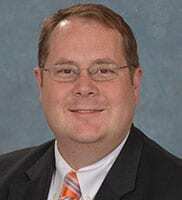 This pudgy face is a self declared expert on working in the private sector although he never did. “‘Health insurers have fled the exchange markets after losing millions of dollars’, ‘half the counties in America, and 10 states in our country, don’t even have a choice of health insurer’, ‘ Congress repealed the mandate’, ‘with one insurer offering policies, half of the counties in America and 10 states in our country do not have a choice of health insurer’.” etc., etc. etc. None of this is Trump’s or Republican’s fault. Unfortunately Ms. Verma, it is Trumps and Republican’s fault. The only thing you can blame Obama and Democrats for is not making sure Congress allocated the money through Congress. From day one of the Obama administration, Republicans made it their objective to block everything Obama did and make him a one term president. From day one of Trump’s administration, Trump has over turned anything he could by Executive Order and the Republican House and Senate made it their objective to repeal the ACA. The ones who are hurting from the Republican vindictiveness are those in the unsubsidized individual market, those who bought off the exchanges, and those who live in states where Medicaid was not expanded. In the end, Colorado Rep. Jack Kingston’s one sentence in Section 227 of the 2015 Appropriations Act (dated December 16, 2014) created a $2.5 billion shortfall in the Risk-Corridor program in 2015 as the HHS had collected $362 million in fees. Insurers who had misjudged the market sought nearly $2.9 billion in payments. Gerhart’ canary in a coal mine played out with many nonprofit insurance Co-ops failing due to a lack of reimbursements for losses, for-profit healthcare insurance companies lost money, healthcare insurance companies began to raise premiums to compensate, healthcare insurance companies recognizing an untenable environment created by Republicans took their losses and left the healthcare exchange market, and consumers were left without policies. Ms. Seema Verma, you are using Ms. Sarah Huckabee Sander tactics to deny the truth. 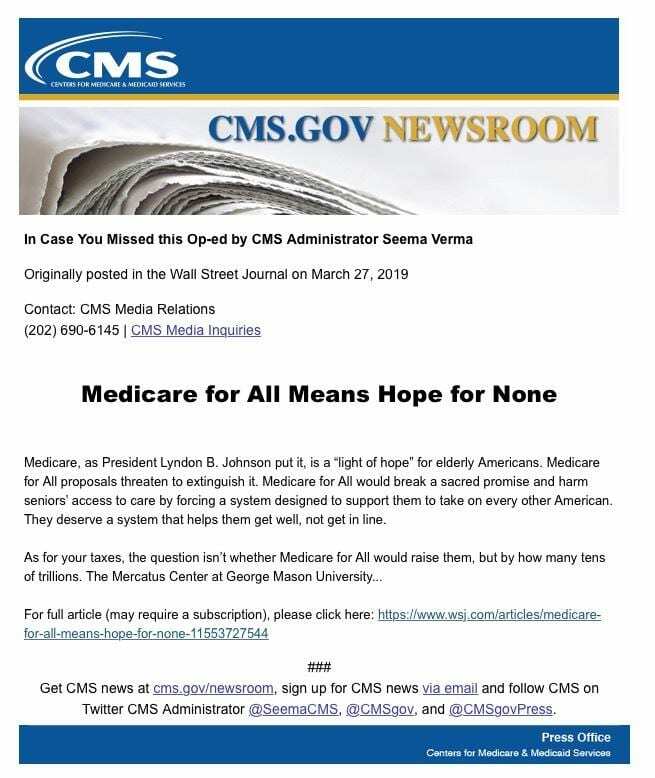 An excellent article is on the blogosphere analyzing the impact of Trump killing the CSR, “Rational Choice in the ACA Market Place.” What did Trump and Republican’s cancellation of the CSR cause in the market place? Simple answer, not what they expected. Andrew Sprung at Expostfactoid explains the result of Trump’s Executive Order. Chart by David Anderson at Balloon Juice. So, what is going on here? Trump stops the CSR subsidies going to people 150% to 300% FPL and states responded by allowing or requiring insurers to concentrate the cost of CSR in premiums for silver plans only. What Balloon Juice is showing in its chart in the decrease in the numbers of Silver plans for Bronze plans and Gold plans that are now less costly and not required anymore due to cancellation of the CSR. “Since ACA premium subsidies are keyed to the price of the benchmark (second cheapest) silver plan in each rating area, subsidies rose to cover inflated silver premiums, generating often dramatic discounts in non-silver plans, i.e. gold and bronze (platinum availability and purchase is negligible). In many states, steep increases in silver plan premiums resulted in zero-premium bronze plans becoming available to many buyers (or nominal $1-3/month premiums), and gold plans that were either cheaper than silver or close in price. Bronze plans could be free and Gold plans cheaper than Silver plans. Again, David Anderson at Balloon Juice presents an excellent chart detailing state by state a Silver to other Metal comparison. Click on the link to see Least Expensive Spreads. ACA Signups, xposfactoid, and Balloon Juice will all tell you and I would also, the impact on people 150% to 400% FPL was not catastrophic. The impact of Trump’s cancellation of the CSR was felt on those making greater than 400% FPL and getting their insurance on and off the exchanges. Trumps and Republican’s cancellation will cause their premiums to rise the same as the cancellation of the mandate. 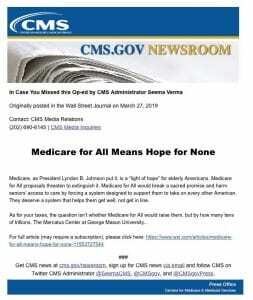 May 1, 2018, Med Page Today Former HHS Sec. Price Calls Individual Mandate Repeal a Mistake. Funny thing, Price never said it would be a problem while he was HHS Secretary. While Price criticized the GOP-led Congress for repealing the individual mandate, he also said they did little else to repeal or reform the ACA, suggesting the action might do more harm than good and was not enough. More Shopping Around . . . I want to stress the need to shop around when looking for healthcare insurance on the exchanges by citing one example of how it can make a difference. As mentioned earlier here and on Charles Gaba’s ACA Signups blog, Shopping Around does make a difference. If you did not do so, you could be suckered into paying far more than what is necessary for healthcare insurance. This is supposedly the impact of the free market and as there is a sucker born every minute, there are those who will invest the time to look for and find the best policy at the best price. The market is not static. I pulled another example of how the market can vary by going from a state to state view to looking within one particular state. In particular, I chose Missouri as an example to portray as it is showing an advertised high increase of cost at 27 and 22%. Charles Gaba does an excellent job of explaining the impact of these two increases within Missouri, which I will portray at AB. Charles Gaba fills the gap which Healthcare.Gov does not fill by pointing out the number of policies which have lower rates of increase than 10% (Healthcare.Gov only mentions increases >10%). As you read the top half of the chart (click on the chart for a larger chart), you can see Coventry Health and Life appears to dominate the market place with >80% market share. If we look at the number of participants in the market, Coventry is only being measured against 48% of the market place. 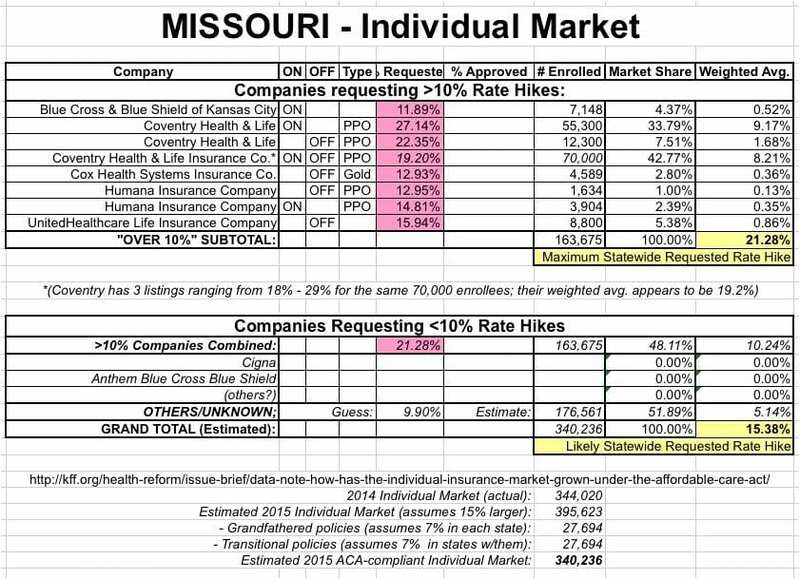 The other half of the market place which is reporting less-than a 10% rate hike is not reported by Healthcare.Gov. It is there, Healthcare.Gov does the consumer a great disservice by not reporting market place increases less-than 10%; the PPACA a disservice as it creates only a picture of out-of-control increases; and a disservice by feeding the naysayers with data of >10% increases only. While the PPACA is not perfect, it is certainly a step in the right direction as we waited ~22 years since Hillarycare for the healthcare industry and the Republicans/Congress to bring something to the table. The bottom half of Charles Gaba’s chart depicts what could be happening using an estimated increase of 9.9% with the other healthcare insurance companies. If Charles is to be wrong in his calculations, he has erred to the high side of a potential increase by them. The total increase for the state is not 33% or 42% as reported in the news media. Nor is it 21% using a weighted average calculation as Charles Gaba determines. It is an ~ 15% total increase (Charles Gaba calculated) as determined by a high estimate of what is being paid by >50% of the market place insured participants. Could the state’s 15% be decreased? Yes, if more people shopped around in the lower half of cost in the market place. Is this a failure of the market place, a failure of people not to “Shop Around,” or a failure of Healthcare.Gov to advertise low increases by not reporting on those lower-than 10%? Some of each I suspect; but, do not expect the healthcare insurance companies to come to your door and tell you they are going to gouge you this year as they will not. Maybe Healthcare.Gov should report on the low increase companies and maybe people should spend more time looking for a low cost and better policy . . . the same amount of time they will spend investigating an automobile and looking for the lowest cost than what they will for something impacting their health. After all, which is more valuable?